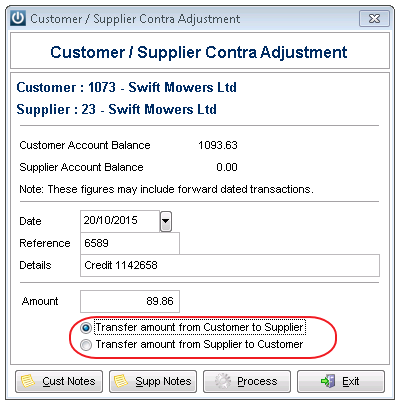 How do I transfer a balance from my Customer Account on to a Supplier Account? This is a Contra transaction and to do this, or the reverse, you first need to set up the Customer Account with a Supplier Contra account. Fill in the Date, Reference and Details as necessary - enter these as you want them to show on the Customer and Supplier Enquiry screens. Pay attention to the Transfer buttons and tick accordingly. Use the Cust Notes or Supp Notes to enter any further details. 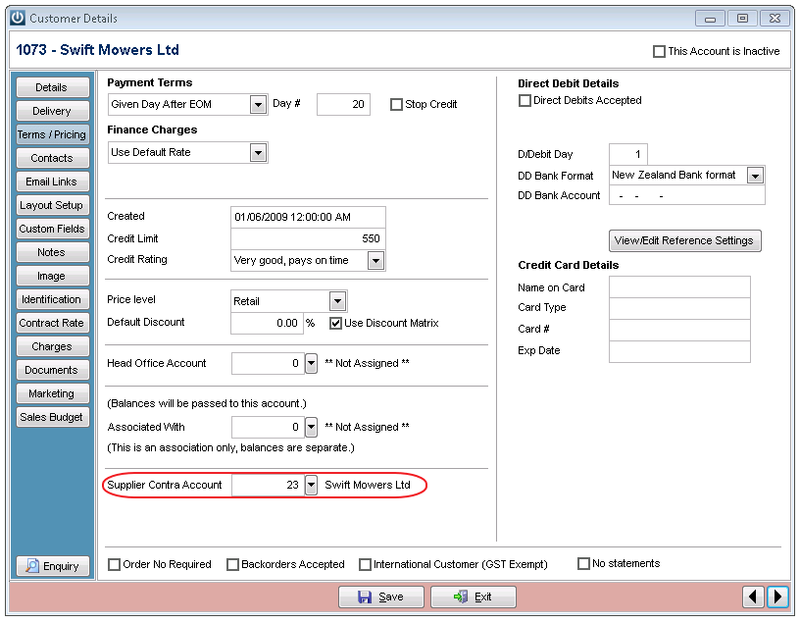 The shot below shows what has been recorded in the Customer and Supplier Enquiry screens after the transfer has been done. How Do I Enter and Process A Warranty Job? How Do I Transfer A Balance From One Customer To Another?